All throughout the summer, the residents of Norcross enjoy coming home to a cool home. In fact, pretty much the entire Southeast relies on their air conditioning for over six months of the year. 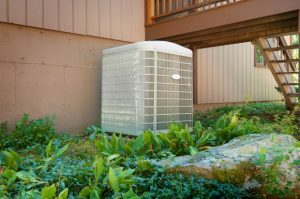 Regrettably, quite a few homeowners get home to find that their air conditioning unit doesn’t work or isn’t working right. Replacing an A/C unit isn’t something anyone has on their to-do list, but sometimes it’s a necessity. With the strain we put on our A/C units every year, it makes it essential to have an HVAC company you can count in and that is familiar with your area. If you have an unforeseen problem, it might be time to call CoolMasters Heating and Air Conditioning for repairs. Cool Masters has more than adequate experience to take on any task that your HVAC system may throw at you. Whether it’s for maintenance or repair, they have your back and can complete any repairs necessary to make sure your HVAC system is running smoothly and efficiently for years to come. The technicians at Cool Masters can handle any issue that may arise, and are prepared for the biggest job or the smallest repair to ensure your family’s comfort. It is our ultimate goal to make sure each job we do is done right and that you are completely satisfied. If there’s anything we’re able to do to make sure your system runs efficiently, we do it. We do everything in our power to get your air conditioning running properly again. With over a decade in the heating and cooling industry, our Norcross A/C technicians have the skills and expertise necessary to complete any and every job. Our priority is to make sure you feel like we are explaining everything to you in a language and manner you can understand, and not in some HVAC jargon. Each facet of our service allows us to go the extra mile for you, and we’re glad to do it. If you’re ever in need of A/C repair or maintenance in Norcross, call your local experts at CoolMasters Heating and Air Conditioning, where we offer reliable service at budget-friendly prices. If you have any questions or concerns, feel free to give us a call or drop us an email! If you are active personnel, you’ll receive a military discount for repair costs. Click here for more info. Cool Masters is proud all of the reviews we receive, and work very hard to get them.